An Oregon federal judge ordered the pretrial release of one of the 26 protesters indicted for the armed seizure of a wildlife refuge after hearing testimony that explosives were part of a “worst-case scenario” strategy of the occupiers. During the US District Court hearing in Portland, Oregon, a federal prosecutor argued against the release of Jason Blomgren, citing the militiaman’s involvement in security patrols and guard duty at the Malheur National Wildlife Refuge during the nearly month-long occupation in January. The prosecutor also told the court that Blomgren had, after his arrest, divulged to authorities that the occupation leaders never booby-trapped the wildlife sanctuary but had talked about using "IEDs," or improvised explosive devices, when planning for a worst-case scenario, and using at least two drones to spy on the FBI, according to the Oregonian. A Facebook photo of Blomgren, 41, shows him posing at the refuge with a long gun and a .40 caliber Smith & Wesson pistol and three magazines of ammunition found on him when he was arrested, Assistant US Attorney Craig Gabriel said. Blomgren, who lives in North Carolina, told authorities he joined the refuge occupation about a week in, after reading about the January 2 seizure on the internet. He initially borrowed weapons from others, but later carried his own .40-caliber Smith & Wesson handgun, according to the federal prosecutor. Blomgren's lawyer said he has a permit to carry the weapon. Hi attorney also asked the court to release Blomgren to let him return home where his sons, one of whom has autism, have been living with his parents since he joined the occupiers. Blomgren's lawyer said his client doesn't bear anti-government views but does hold a different interpretation of the US Constitution relating to federal control of public land, the Oregonian reported. 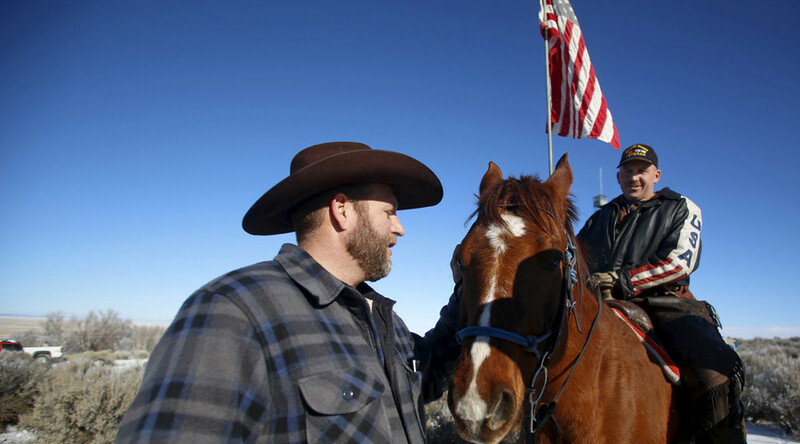 Blomgren was not one of the people arrested when federal agents and state police were on their way to the refuge on January 25, which resulted in the shooting death of Robert "LaVoy" Finicum. 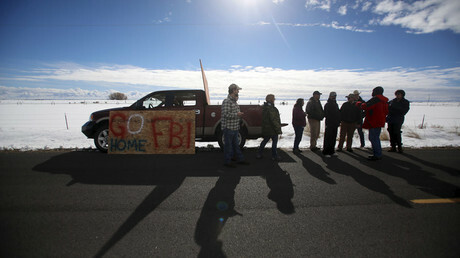 A day earlier Blomgren had gone to the city of John Day to help set up a community meeting. After his compatriots were arrested, he left the state but was subsequently taken into custody in Nevada and sent back to Oregon for indictment. Federal Magistrate Judge Paul Papak agreed to release Blomgren from custody, as long as he is placed on electronic monitoring and home detention, pending the trial. Blomgren has also pleaded not guilty to a new charge of conspiracy to impede federal officers and possession of firearms in a federal facility. A trial date will be set during a status conference on April 6.